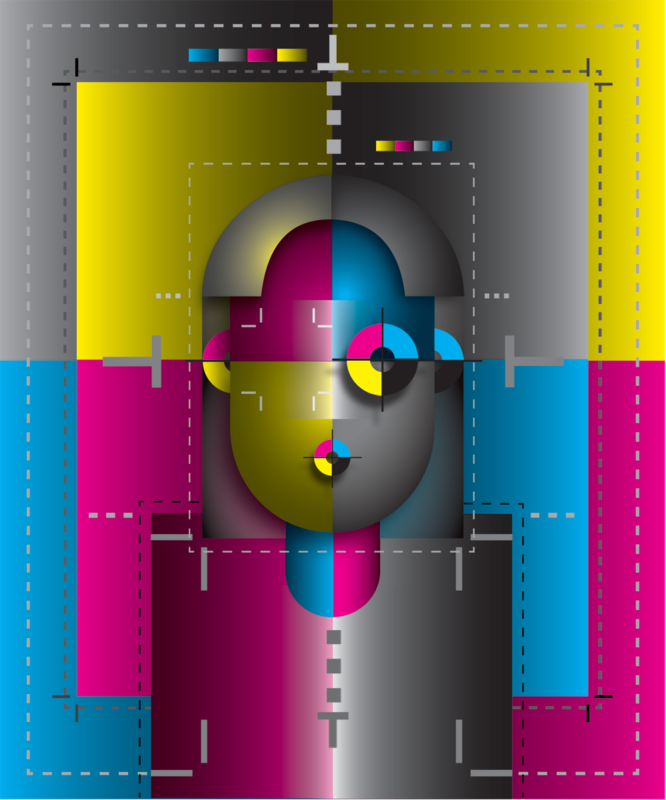 Print advertising and publication dimensions are important for preparing and formatting an illustration for delivery to a client or printer. Nearly all periodicals and many independent publications rely on a system using three measurements or guidelines for the preparation of artwork. These guidelines are called the “trim”, “bleed”, and “live area” dimensions. 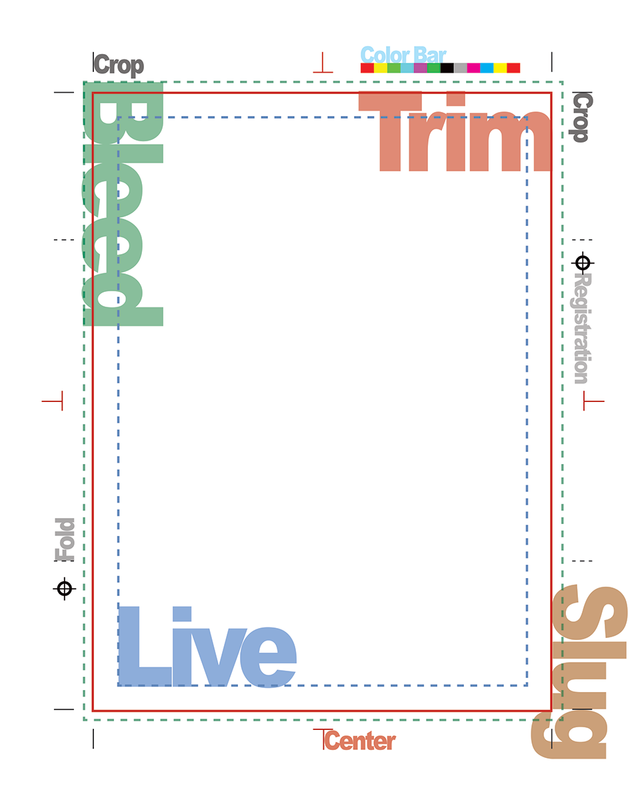 Somewhat self-explanatory, trim is the term that is used to describe the absolute horizontal and vertical area dimensions of a publication. Most publications are printed on paper that is larger than the page dimensions to allow for processing and handling as well as image demands. In the finishing process, guillotine knives trim the printed sheets to their proper final size.